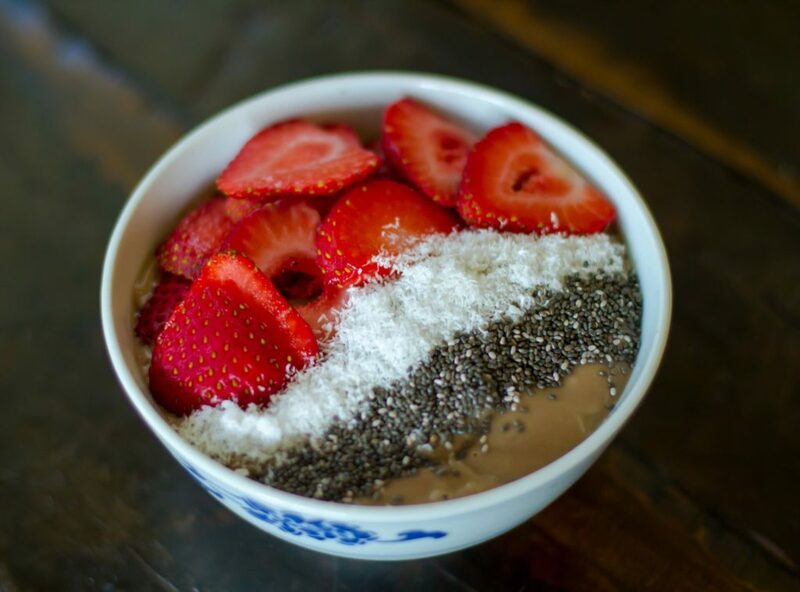 Smoothie bowls bring a delicious and healthy “pudding” option to the breakfast table. A creamy chocolaty pudding seems like a pretty great way to start the day. As opposed to a regular smoothie that you drink with a straw, smoothie bowls are thicker, creamier and wonderfully pudding-like. With some crunchy toppings, it’s a pleasing balance of textures and a limitless combination of flavors. The key to the creamy, pudding texture comes from an avocado and a frozen banana. For the chocolate factor, I used some chocolate almond milk. If you’d like to regulate your sugar intake a bit more, you can use an unsweetened milk or milk alternative, unsweetened cocoa powder or cacao, and sparingly, use a sweetener like honey or maple syrup. I like to top my smoothie bowls with some type of fresh fruit, then one or two crunchy things. In this case, I chose local ripe strawberries, flaked unsweetened coconut and, for an added healthy punch, some chia seeds. Place the first three ingredients into a blender. 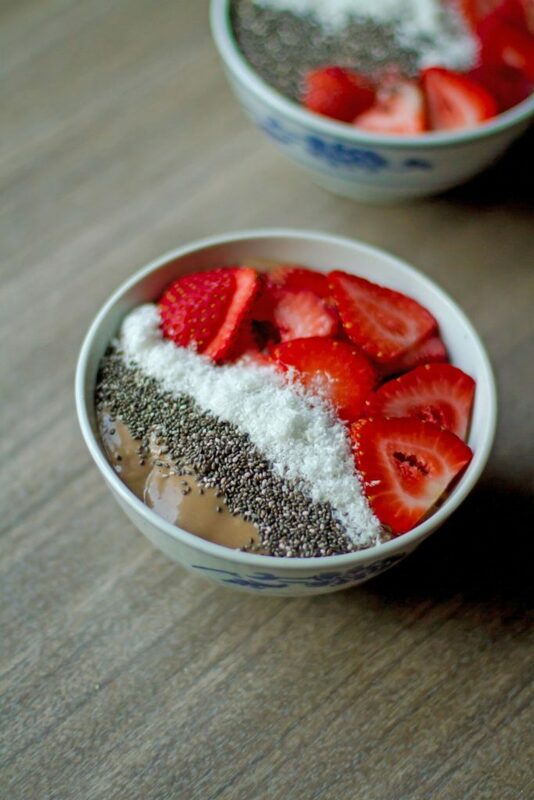 Top each bowl with 2 sliced strawberries, 1 teaspoon coconut and 1 teaspoon chia seeds.